The legendary Scottish Fiddle Orchestra is delighted to be returning to York Barbican for the first time since 2013, for a magical evening of Scottish music, ranging from lively, rhythmic toe-tapping jigs to reels and tone poems, well-known songs and moving slow airs. 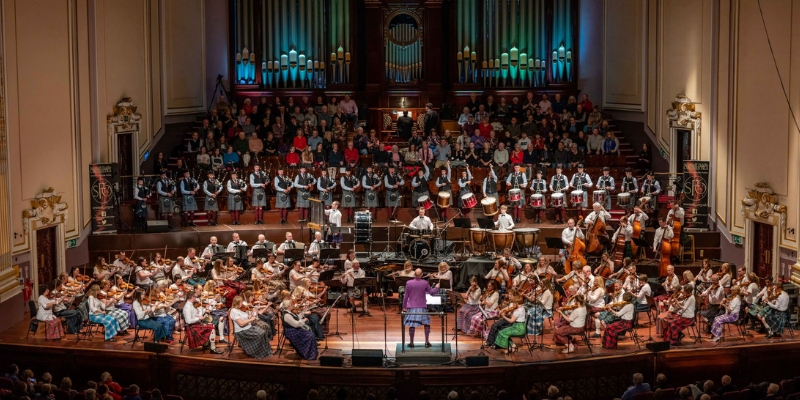 Sharing the stage with the massed ranks of the Scottish Fiddle Orchestra will be a pipe band plus our ever-popular singers and soloists generating an incredibly powerful sound. The Orchestra has earned standing ovations in concert venues as far afield as Australia, Canada, China and New Zealand raising over one million pounds for charity. An SFO concert is an ideal event for all ages and group outings, and will have you clapping, singing and laughing along during a night that you’ll be talking about for years to come. We guarantee to have you dancing in the aisles.